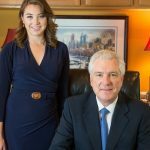 Following an accident involving a traumatic brain injury, Philadelphia Traumatic Brain Injury Lawyers most often pursue traumatic brain injury claims involving personality change, inability to concentrate, and headaches. A significant factor in diagnosing a brain injury is whether the victim sustained a loss of consciousness. After a traumatic brain injury (TBI) occurs, emergency care of the victim may include long periods of bed rest while the swollen and bruised portions of the brain heal. Over time, pain may subside and the victim will recover some lost functions. Extreme dizziness may be greatly reduced. In time, the victim may appear normal to observers. However, family workers, close friends and co-workers often notice personality changes, lack of ability to concentrate, lack of ability to deal with multiple stimuli, irritability and confusion. Quantifying the losses of a closed head injury victim often requires a lengthy period of time while the immediate effects of the injury heal. Neuropsychologists and other professionals who work with head injury victims are important sources of long-term prognosis and documentation of lost function resulting from brain damage. Traumatic brain injury is one of the most difficult kinds of injuries for the patient and his or her family. Unlike injuries that can be seen, a brain injury is invisible. Head and brain injuries are, indeed, one of the most devastating of traumatic injuries. A year a half ago I was in a pretty bad car accident. I suffered some injuries and mentally I was unrecognizable. Luckily I came across John Fox, call it a blessing, luck, I’m grateful I found him. From the very start his concern was always my well being. I was beyond traumatized and he made calls to me often, spending time talking to me about staying strong and getting through this. He was also well informed in the many areas a car accident effects. It would take pages to lay out the specifics of my case, but I’ll say this, Mr. Fox is a good man with top notch ethics…. Philadelphia Brain Injury lawyers have the duty to prove the severity and permanency of the injury their client has sustained. This can be a challenging task in the case of an accident related traumatic brain injury (TBI) claim, since physical evidence of a TBI often cannot be seen using standard medical testing. 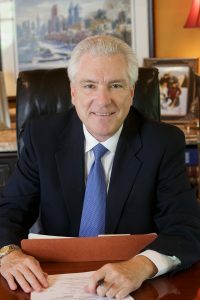 Accident victims sustaining a TBI injury are challenged by opposing attorneys, who try to create question or doubt about an accident victims TBI claim. Therefore, having the right neurologist and neuro-psychologist is extremely important in helping your lawyer to fully develop and prove your TBI claim. 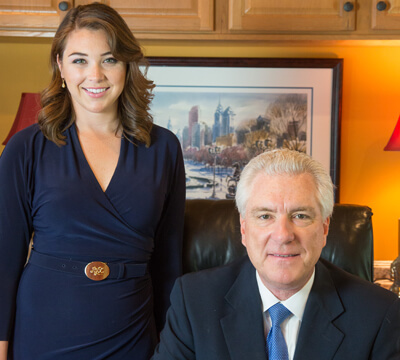 Skilled and experienced Philadelphia Traumatic Brain Injury Lawyers will direct you to these skilled professionals. In recent years, after doctors noticed that football players and war veterans were displaying a pattern of TBI symptoms, medical scientists began to do autopsies on the brains of the deceased TBI patients. What doctors found was a pattern of physical brain degeneration in the autopsy of their brains. As the following article will reveal, traumatic brain injury can be complicated and insidious. Following the autopsy of deceased football players and war veterans, scientists now recognize that some TBI injuries cause a slow, degenerative, physical deterioration of the brain following some traumatic brain injuries. What triggers degenerative responses to a TBI is still unknown, although many research studies are now underway, including studies on genetic predisposition to degenerative brain deterioration and whether degenerative brain deterioration can be triggered following a single TBI. Adding to the problem of answering questions such as this, the physical degeneration of the brain is often only seen after the patient is deceased, through an autopsy of their brain. Therefore, most doctors today still do not know if living patients who have sustained a single TBI are also suffering from a slow degeneration of the brain triggered by a single TBI. The long term effects of traumatic brain injury (TBI) vary depending on the severity of the injury. Recovery may be rapid or TBI can have permanent disabling effects with a lasting impact on the quality of life for those who have suffered a TBI. Effects of TBI may include impaired thinking, decision making and reasoning, concentration, memory, movement, and impairment of the senses such as vision and hearing. It may also cause emotional problems, personality changes, impulsivity, anxiety, depression, and epilepsy. Living with the challenges of long-term TBI can be life-changing. Many questions remain unanswered regarding the impact of traumatic brain injury. Doctors need to find better ways to diagnose and treat all forms of TBI. Since the discovery of degenerative brain disease in some TBI patients, researchers realize more than ever that much still needs to be understood about the causes and effects of a wide range of TBI injuries. A traumatic brain injury occurs when an external impacts the brain. Not all impacts to the head result in a TBI, and the ones that do result in a TBI, the damage can range from mild to severe. Mild TBI results in a brief change of mental state or consciousness. Severe TBI is considered if an extended period of unconsciousness or amnesia occurs following the blow to the head. There are two main categories of TBI – penetrating and non-penetrating. Penetrating TBI, also called an open TBI, occurs when the skull is pierced by an object. In the case of a penetrating TBI, an object enters the brain tissue, such as a bullet, knife, or shrapnel wound. Non-penetrating TBI, also called a blunt TBI or closed head injury, is caused by an external force that produces movement of the brain within the skull. Car accidents, falls, and sports injury are typical examples of non-penetrating TBI. TBI injury due to a blast or explosion is one example of a non-penetrating brain injury that is the focus of study following recent brain autopsies of war veterans. How blasts cause brain injury, however, is still not understood by doctors. Much research is currently being done to better understand this type of TBI. Diffuse Axonal Injury (DAI) refers to widespread damage to the brain’s white matter. This damage commonly occurs in auto accidents, falls or sports injuries. It usually results from a twisting rotation or sudden deceleration. The result can be a disruption of neural circuits and a breakdown of communication among nerve cells in the brain. It also leads to the release of brain chemicals that can cause further damage. These injuries can lead to temporary or permanent damage to the brain, with an extensive recovery period. This is the most common type of TBI. A concussion is considered a mild type of TBI, however, long-term symptoms of a TBI can occur following a single concussion. Concussions can be caused by a blow to the head, car accident, weapons blast or rapid acceleration or deceleration of the brain within the skull, resulting in a brief loss of consciousness or a feeling of an altered state of consciousness, commonly described as feeling “dazed” or having their “bell rung”. A second blow closely following the first blow causes further damage to the brain. This is called the second hit phenomenon and can lead to permanent damage or even death. Scientists do not fully understand why some TBI patients rebound and recover, while others suffer long term effects. Studies are currently being done on the nature of blows to the head, age, gender, speed of medical attention, genetic and other factors in trying to better understand what type of brain injury is likely to occur given many variables. Recently research has expanded to a greater awareness of long-term effects. Hematoma, or a pooling of blood in the tissues outside of the blood vessel, is one type of brain injury that can be seen with standard medical testing. Types of hematomas are identified depending on where the bleeding occurs. Traumatic brain injury has immediate effects on the brain, such as bleeding and tearing, injury to nerve fibers, inflammation, metabolic changes and brain swelling. Damage from TBI can be confined to one area of the brain or it can occur widespread. If the injury is confined to a single area of the brain, it is considered a focal injury. If the injury is over a more widespread area, it is considered a diffuse injury. Injuries that result in immediate damage is considered a Primary TBI. Injuries that occur gradually, over hours, days, weeks, or years, are considered a Secondary TBI. Secondary brain injuries are the result of a reactive process of the brain that occurs after the initial head trauma. Degenerative brain disease is a secondary effect of some traumatic brain injuries. The effects of TBI can range from subtle to severe with permanent disability. People may appear healthy but act or feel different. Therefore, signs and symptoms can be easily missed. Some symptoms, such as depression and sleep problems, are confused with overlapping patient issues. Cognitive difficulties can often go undetected during an initial evaluation but emerge days later. Sensory problems such as blurred vision, seeing stars, ringing in the ears, bad taste in the mouth. Fatigue or drowsiness; a lack of energy or motivation. Changes in sleep patterns – sleeping more or having difficulty falling or staying asleep, inability to wake up from sleep. Repeated blows to the head can cause chronic traumatic encephalopathy (CTE), a progressive neurological disorder. CTE is a delayed consequence of multiple blows to the head. Recent studies have revealed CTE in athletes that sustain repetitive head trauma, such as soccer players, wrestlers, football players and rugby players. A single, severe TBI also may lead to a disorder called post-traumatic dementia (PTD), a progressive disease that shares some features with CTE. Large populations of people who have suffered a single moderate to severe TBI in early or mid-life have been studied. Results of these studies indicate that a single moderate to severe TBI may be associated with increased risk of late life dementia. Initial evaluations rely on standardized testing and evaluation. Brain scans may also be used to determine if surgery is necessary. Computed tomography (CT) is the most common imaging technology used to assess moderate to severe TBI. CT scans create a series of cross-sectional x-ray images of the skull and brain, showing fractures, hematomas, contusions, and brain swelling. Magnetic Resonance Imaging (MRI) may be used as a more sensitive test to the CT scan. Unlike moderate or severe TBI, milder TBI may not involve obvious signs of damage that can be identified with current neuroimaging. Instead, much of what is believed to occur to the brain following a mild TBI happens at the cellular level. Significant advances have been made in the last decade to image milder TBI damage. Despite these improvements, currently available imaging technologies, blood tests, and other measures remain inadequate for detecting these changes in a way that is helpful for diagnosing the mild concussive injuries. Pre-existing conditions can impact the recovery of a TBI injury. Psychiatric history is relevant to the standardized testing and initial evaluation of the patient, as the psychiatric history of issues such as depression can impact patient recovery from TBI. Post-concussion syndrome (PCS) may occur in some individuals days or weeks after a concussion. People can develop this syndrome even if they never lost consciousness. The symptoms include headache, fatigue, cognitive impairment, depression, irritability, dizziness and balance trouble, and apathy. These symptoms usually improve within a few weeks but sometimes the symptoms are persistent. In some cases, the conditions are triggered by imbalances in the production of hormones required for the brain to function normally. Symptoms of hormonal imbalances include weight loss or gain, fatigue, dry skin, impotence, menstrual cycle changes, depression, difficulty concentrating, hair loss, or cold intolerance. Immediate medical treatment at a trauma center is recommended for the best recovery possible from a TBI. Mild TBI should focus on symptom relief and “brain rest”. Headaches can be treated with pain relievers. Patients should have an awareness of long-term symptoms, and should report any new symptoms to health care providers for follow-up care. Return to daily activities should be gradual, as brain function may still be limited. Very little is known about the long-term effects of concussions on brain function and further research is needed to better understand the effects of mild TBI on the brain. Preventing future concussions is critical to a first-time mild TBI. While most people recover fully from a first concussion within a few weeks, the rate of recovery from a second or third concussion is generally slower. Treating severe TBI focuses on stabilizing vital organ functions and preventing further brain damage and rehabilitation. Many factors influence the recovery prognosis from a TBI. Although the brain injury occurs at the moment of head impact, much of the damage related to severe TBI develops days, weeks, months, or even years later. Genetics are believed to play a role in how quickly and completely a person may recover from a traumatic brain injury. Researchers have found that apolipoprotein E ε4 (ApoE4) is a genetic variant associated with higher risks for Alzheimer’s disease is associated with worse outcomes following a TBI. Age at the time of TBI and the number of head injuries sustained are also factors in predicting the recovery from a TBI. Philadelphia Traumatic Brain Injury Lawyers welcome you to contact us for a prompt and free consultation regarding your TBI case. If you or a loved one is an accident victim sustaining a traumatic brain injury, we can help. Fox Law is experienced in traumatic brain injury lawsuits and can direct you to the best neurologist and neuro-psychologist to help us develop your TBI claim for a successful outcome. aphasia - difficulty understanding and/or producing spoken and written language.